For those going to San Diego for Comic Con this year, expect to find a Kentucky-fried surprise. 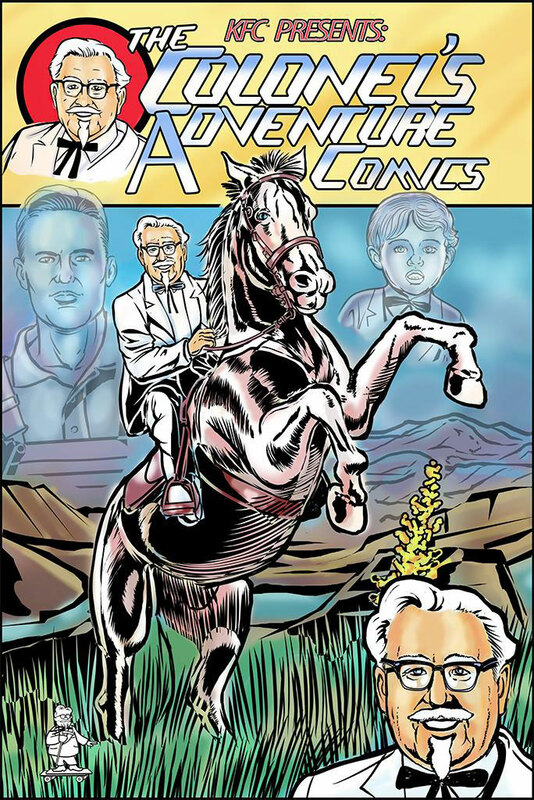 KFC announced that they'll be appearing at the world-famous comic book convention with their very own comic book: The Colonel's Adventure Comics. Attached to the tweet was a cover image of the upcoming comic book. From the looks of it, the comic will be chronicling the secret origins of the Kentucky Fried Chicken patriarch. Yet another reason we're bummed we're not going.